The marijuana industry has experienced significant growth in the past few years as its medical and recreational applications have continuously expanded. Due to the promise of this emerging sector, investors have been increasingly drawn to marijuana stocks and ETFs. Here we discuss recent developments in the marijuana industry that are behind this rise in public interest, particularly among investors. The cannabis sector is quickly becoming an international market, now with Canada in a position of leadership. In October, Canada became the second country to legalize recreational cannabis use after Uraguay, and the first G7 country to do so. It seems that Mexico will soon follow, as their incoming government submitted a bill on November 8, 2018, to create a medical marijuana industry and allow its recreational use, part of a crime-fighting plan that would make Mexico one of the world’s most populous countries to legalize the drug. These changes have the potential to create a major market for legal cannabis in North America. With this much interest in an emerging sector, it can be difficult to know which companies to buy, not to mention determining a suitable allocation of each in building a portfolio. These factors may help reinforce the reasoning for selecting a diversified, actively managed investment product, such as an ETF. Let the professionals conduct the due diligence, analysis and research of these companies to select what they deem as the best companies to hold. While Canadian cannabis companies are in the spotlight now, opportunities may exist outside of Canada as we approach globalization. A product that offers global exposure may provide investors with geographical diversification and additional capital appreciation. While legal recreational marijuana use is climbing slowly in the United States, more than half of the country has legalized the use of medicinal cannabis for treating conditions such as forms of cancer, epilepsy, anxiety and AIDS. With such widespread legalization comes the need to increase supply for those seeking relief. Once cannabis reaches general household acceptance as an effective alternative to opioid use, we will witness a boom in the medicinal cannabis sector. This boom should extend globally. Cannabis tourism is on the rise, with an influx of tourists choosing to visit states where recreational cannabis has been legalized. In fact, the Colorado Tourism Office (CTO) announced that Colorado set all-time records for total visitors, visitor spending and tax generation in 2015 (one year after legalization), welcoming 77.7 million visitors who spent $19.1 billion and generated $1.13 billion in state and local tax revenue. Nevada retailers sold nearly $200 million in recreational cannabis sales in the first 6 months after its legalization. It is estimated that Canada could eventually generate as much as $2 billion in annual tourism revenue related to the cannabis industry. This will take time as retail stores become established in provinces, such as Ontario. This shows us how other industries such as travel and tourism currently benefit from cannabis legalization and the lucrative opportunity it presents. 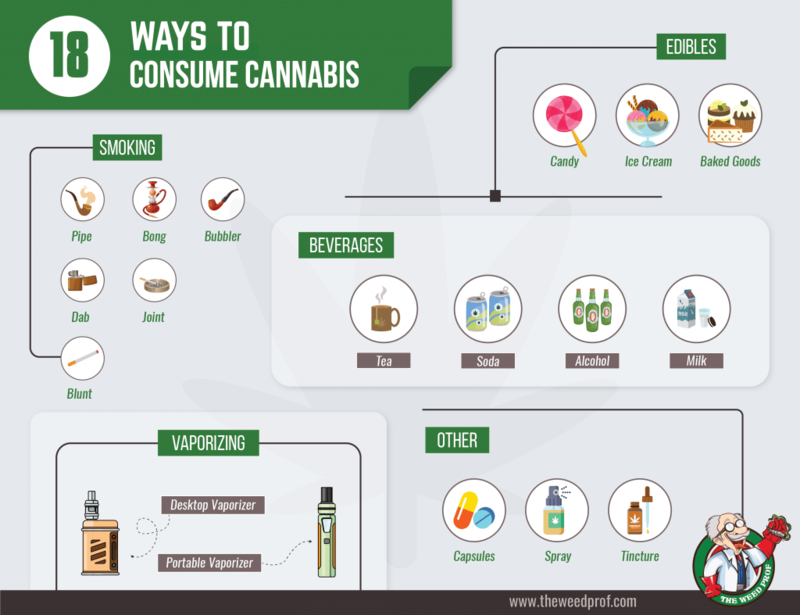 In discussions on how it should be regulated, marijuana is often compared to industries such as alcohol and tobacco. With the growing number of cannabis beverages hitting the US market, the marijuana industry can actually be seen as a complement to the beer industry. In Canada, investments from Constellation Brands and Molson-Coors have generated interest and created a ‘buzz’ in these products. It is expected that edibles and cannabis-infused beverages will reach the market by October 2019. In light of a recent drop in beer sales reported by major labels, this partnership could supply just the boost the beer industry needs. Soft drink companies are reportedly considering similar partnerships, seeing as the marijuana industry is predicted to eclipse the soda industry by 2030 should it reach nationwide legalization in the U.S. by that time. Not everyone is keen on the idea of smoking marijuana, which is why the sector is showing a major focus on creating new means for people to consume cannabis without having to burn or inhale it. Marijuana is now available in the form of edibles, lotions, or through vaping as an alternative to more traditional methods. According to Arcview Market Research in partnership with BDS Analytics, despite federal prohibition, the U.S. legal cannabis industry experienced 31% growth in 2017 to reach $8.5 billion. Nationwide spending in the U.S. is forecasted to be over $23.4 billion in 2022, growing at a 22% compound annual growth rate over the five-year forecast period. With so many complementary businesses benefitting from this growth (everything from cannabis packaging to cannabis importation and exportation), the marijuana sector provides a diverse set of investment opportunities. As the first G7 country to legalize, Canada is currently at the forefront, however, the greater opportunity may exist in years to come with globalization. Predicting industry trends means staying ahead of the curve and up to date with the latest developments in disruptive industries. The Evolve ETFs website provides investors with resources such as videos and infographics to help make the intricacies of the cannabis industry easier to understand.